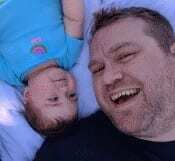 Normally, you can tap and hold any photo in the Gallery app for Android to access the option to delete. That option may not appear for all of your photos. That’s because the Gallery may not only show images on your device. It also may show items on the Picasa and Google Plus service. You have a couple of options on how to deal with this issue. Go to “Settings” > “Accounts” > “Google“. 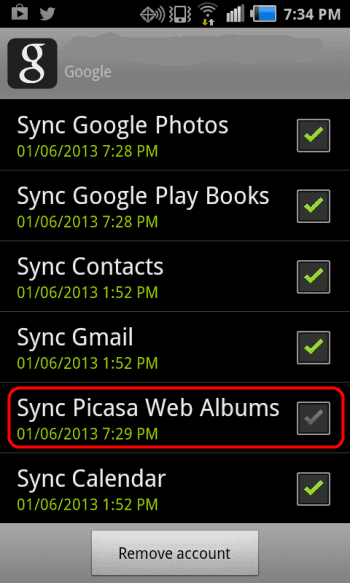 From there, you can select the Google account you are using, then uncheck the “Sync Picasa Web Albums” option. Now under “Settings” > “Application manager“, swipe over to “All” > “Gallery“, and select “Clear data“. Google+ and Picasa items will no longer appear in the Gallery app. Visit your personal Instant Upload page. Select the photo(s) you wish to delete. Select the trash icon, then choose “Move to trash“. The photo will then be removed from Gallery after the next sync with your Android. i am unable to delete image form my galaxing even afey. i have samsung J2. It is reappearing even after deleting. I have a Gallaxy GT-P5 110 tablet tab 2 10.1 and I am unable to delete photos and a document from the Gallery app as when I try I do not get a Trash icon up I can highlight by ticking the boxes but can go no further can you help?. I try to delete unwanted pictures from the gallery but cannot.These pictures are unnecessarily cluttering and slowing the tab. I’m trying to delete photos from my android phone’s gallery app, but whenever I tap the trash icon, a blue text box appears saying, “Failed to delete photo.” I’ve tried everything, but nothing’s working, please help me. I Select and deleted photos from my Samsung J1 Ace Neo, but the unwanted and deleted photos return again within a second and it doubles up. What is wrong? Can you tell me how to delete unwanted photos permanently from the phone or SD Card? Thank you. Oh my god. Thank you so much. This doesn’t work anymore. There is no option to uncheck anything. Thank you so much!!! Thats been annoying me for weeks. Thanks a lot. It helped. Cheers! Thanks a lot. I have been able to remove the pictures. Thanx a lot. It helps.